Truth by Kbaig: The Propaganda over Abbotabad Report is Far More Dangerous than its Disclosure..! The Propaganda over Abbotabad Report is Far More Dangerous than its Disclosure..! 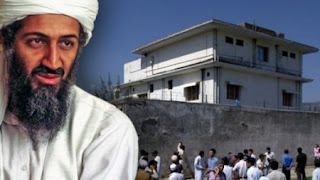 From the day the secret report regarding operation at Abbotabad has been disclosed via Al-Jazeera TV Channel; astonishingly all the focus of discussions in Pakistani media has been over details of the report regarding silence of Pakistani armed forces over the operation and ignorance of ISI over presence of Osama Bin Laden in Abbotabad. US aggression our media is being portrayed as failure of ISI and Pakistani armed forces. No one is concerned that how such an important report was leaked out to such a foreign channel that is notorious for telecasting the videos of Al-Qaeda and Osama that internationally analysts are of the view that these videos and messages of Al-Qaeda are recorded by CIA and telecasted by Al-Jazeera as per instructions of CIA. In the way the analyses and criticism over the report is being done it seems that those who planned disclosure of such a sensitive report have succeeded in their plans. Because the target of these talk-shows is not to condemn aggression of USA (United Satanic Alliance) over a sovereign country but limited to criticism of role of higher leadership Pak armed forces and their professional capability. Principally this discussion should have been over US aggression that even if US had evidence of presence of Osama at Abbotabad than she should have demanded from Pakistan govt. to take action against Osama in spite of conducting operation on Pakistani land herself. If Pakistan had handed over Aimal Kansi to Khalid Sheikh like terrorists to USA than how was it possible that Pakistan had denied to arrest and hand over Osama; if we assume that Pakistan denied to hand over Osama than US had many options to pressurize Pakistan, like imposing international ban, banning the aid and even extreme steps. But in fact in this way this would not had been possible for ruling party of America to get elected for the second term and act upon the slogan raised to get votes, “Withdrawal from Afghanistan”. These are the reasons due to which US intellectuals, analysts, journalists and retired soldiers rejected stance of Obama Administration that Osama has been killed in the Abbotabad operation; they even rejected presence of Osama at Abbotabad and declared Abbotabad Operation drama as POLITICAL NEED of Obama Administration. Here these questions have no value that who was Osama, what were his links with political elite of USA, what was the business relations between Bin Laden and Bush Family. What was the role played by CIA in the establishment of Al-Qaeda, how Osama helped USA in falloff Yugoslavia after genocide of Muslims. After 9/11 when all the airplanes were grounded why airplanes carrying Bin Laden were exempt from this ban? None of the pilots or their supporters who hit the airplanes with World Trade Center belonged to Afghanistan than why did USA attack Afghanistan and after writing a new history of genocide and bloodshed of Muslims in Afghanistan what goals USA achieved? If this war was actually against the Al-Qaeda or terrorism and not against Islam and Muslims than has terrorism ended or decreased in the world; if answer is No! then why USA is in a hurry to retreat from Afghanistan? If USA has succeeded in crushing the terrorism just because that after 9/11 no terrorist attack has been observed in USA than who are those involved in terrorist activities and bomb blasts in Malay, Nigeria, Yemen, Iraq, Sudan, Libya and Syria under the flag of Al-Qaeda? Answers to all these allegations with proper explanation and evidence are already available on the social media. 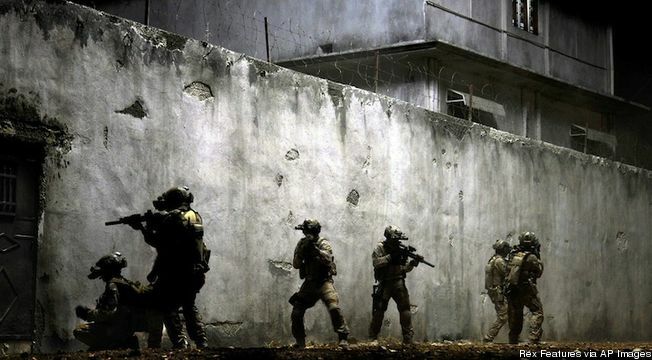 I believe that some of the people might not like these questions but their LIKING or DISLIKING could not change the bitter reality that USA operated in Abbotabad and returned back without any resistance announcing her success (victory) than would this mean defeat of Pakistani armed forces? Lets assume that Pakistani radars on the western border were active but were they capable of detecting latest US helicopters equipped with stealth technology? Even if Pakistan had become aware of US attack than who had the responsibility to decide to stop the enemy and clash with invaders President, Prime Minister or Chief of Army? 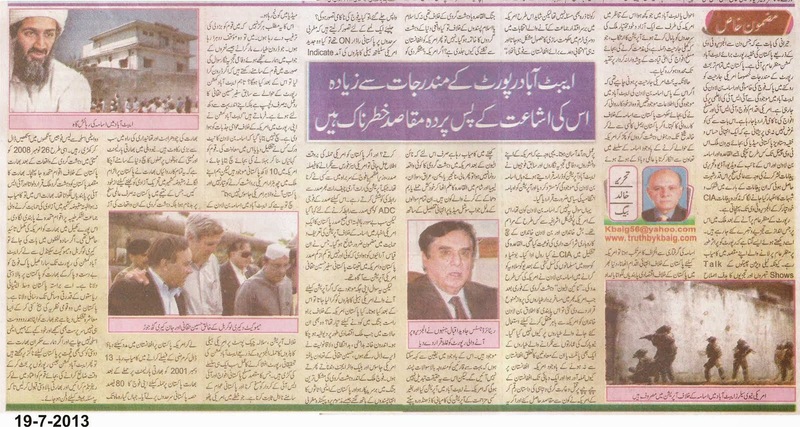 On the night of Abbotabad operation Army Chief tried to contact President but he was unable; even the military ADC of President was not able to contact President, however in the morning an article written by President of Pakistan was published in a US newspaper supporting Operation against Osama. This shows that at least President of Pakistan Mr Asif Ali Zardari and Pakistani Ambassador to US were aware of the operation. But this question is important on its own place that if US Helicopters attacking Pakistan for Abbotabad operation were shot down that what would have been the consequences? Was Pakistan ready to jump in war against US, in such a situation when country has become bankrupt economically, internal dispersion and militancy has destroyed the peace of the country, Hussain Haqqani’s supported US terrorists in the form of Black Water agents are present in the country, army is fighting against unknown enemy within the country and deadly propaganda war has been waged against nuclear assets of the nation that they are about to fall in the hands of terrorists? I do not want to preach nation to be coward but these are the replies that are given by our so called seasoned defense analysts when one asks to shoot down the drones and ask the nation, “What would happen if we shoot down the drones”? however the reaction of ex Pakistani ambassador Hussain Haqqani over leakage of Abbotabad commission report is not only interesting but carrying many questions within itself. 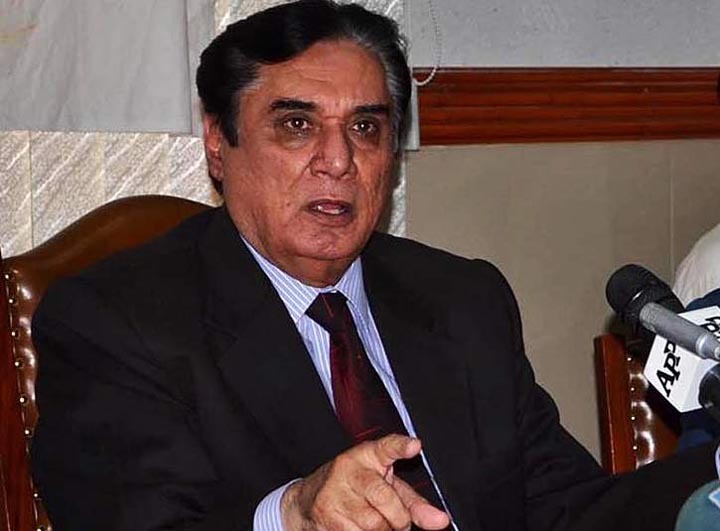 He says, “Abbotabad Commission report is an attempt to exploit public feelings against US, truth has not been disclosed that who and how Osama network was established. 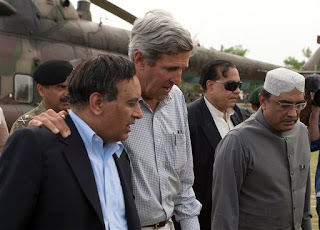 In spite befooling nation by telling stories nation should be told the truth (that how Hussain Haqqani issued visas to Black Water terrorists and they established an Osama network to stage Abbotabad operation), there are 1 million Pakistanis in USA but Pakistan cannot tolerate six thousand Americans (terrorists) only”.